That's a great idea! 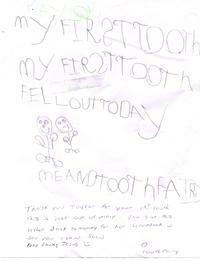 My daughter believes that the tooth fairy will give her money when she loses her tooth. Little does she know that the tooth fairy is just in the next room, haha.